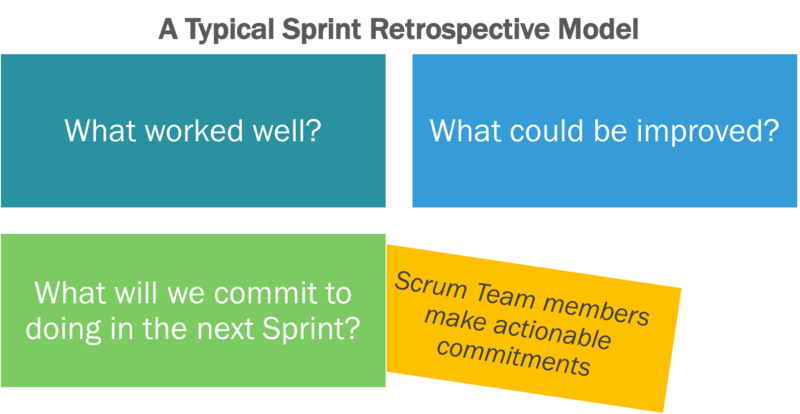 As described in the Scrum Guide, the Sprint Retrospective is an opportunity for the Scrum Team to inspect itself and create a plan for improvements to be enacted during the next Sprint. The Sprint Retrospective occurs after the Sprint Review and prior to the next Sprint Planning. This is at most a three-hour meeting for one-month Sprints. For shorter Sprints, the event is usually shorter. The Scrum Master ensures that the event takes place and that attendants understand its purpose. This is the opportunity for the Scrum Team to improve and all member should be in attendance. The Scrum Master encourages the Scrum Team to improve its development process and practices to make it more effective and enjoyable for the next Sprint. During each Sprint Retrospective, the Scrum Team plans ways to increase product quality by improving work processes or adapting the definition of “Done” if appropriate and not in conflict with product or organizational standards. 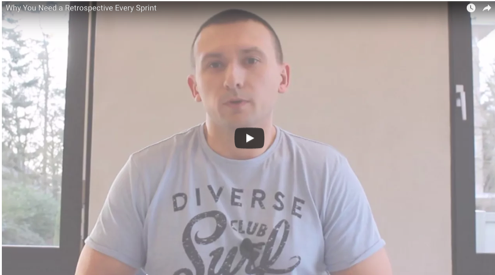 As part of the Scrum Tapas video series, Professional Scrum Trainer Andrzej Zińczuk discusses his experience working with a Scrum Team that was questioning their need to conduct Sprint Retrospectives each Sprint. He used a football analogy to help them understand the importance of a Sprint Retrospective and what it requires for teams to be professional.